On the 10th May 2006, I was fortunate enough to meet with one of my all time heroes, Elmore Leonard. I had read his early Westerns many years ago, and The Last Stand at Saber River has always stayed in my mind. Of course, I went on to read everything in his Western oeuvre. And naturally his crime books as well. 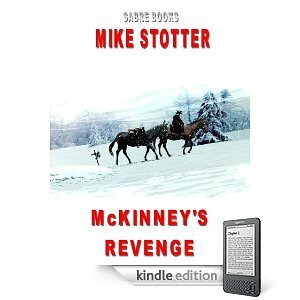 Looking back, it was then that I began writing Westerns*. So it was an honour to meet ‘Dutch’ on a very rare visit to London. He was the recipient of the CWA Cartier Diamond Dagger 2006 to mark a lifetime's achievement in crime writing. The presentation was made by Monsieur Arnaud Bamberger of Cartier at the Savoy Hotel. The event was limited to 100 guests amongst whom were past recipients Ian (or Jan in Monsieur Bamberger’s accent) Rankin, Colin Dexter, Peter Lovesey and Robert Barnard. Many others from the crime and thriller fiction world attended, writers, editors & press alike. The rest of our conversation was spent talking about the importance of characters’ names and getting their clothing right. “If the name doesn’t fit, he doesn’t talk to me.” He explained. Then he went on to tell me that the name for the reporter in The Hot Kid (recently published in paperback by Orion Books) actually came from an auction held for the public to have a name used in his books. A woman won the bid at $17,000 to have Anthony Antonelli, her son’s name in the novel. He had died the previous year in an automobile accident. More people wanted his time, so we shook hands and said good bye. In parting, he said, “Keep writing those Westerns.” What more can I say to that?